Possibly. 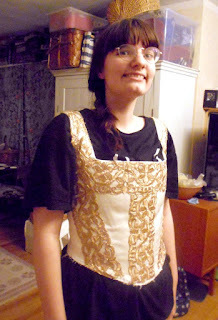 I may add another row of metallic braid aroundthe edges of the gold trim. Anywaym, I have now sewn around all the edges of the gold trim with sewing silk. 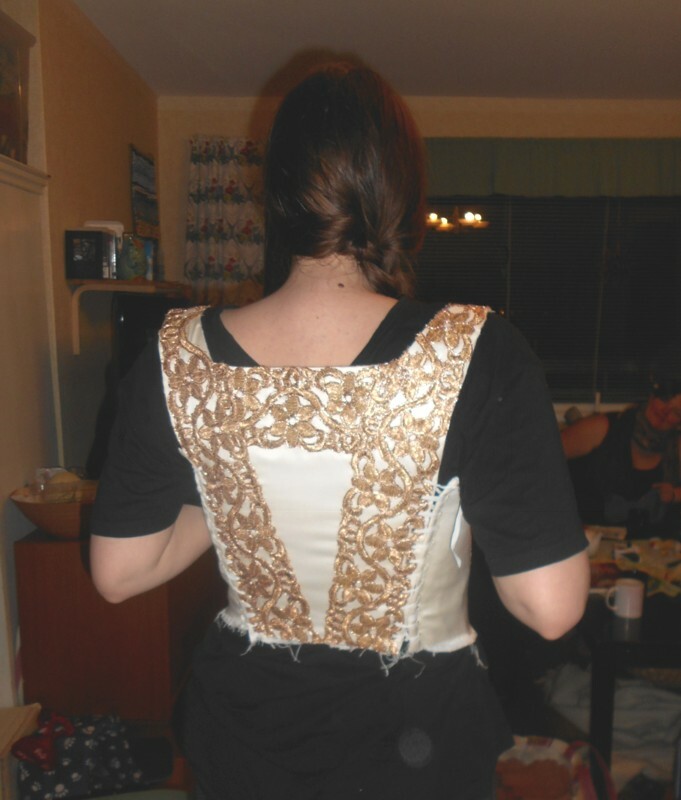 I have also made 46 lacing holes, half of them through both fabric and trim, as on the original. It wasn't as bad I thought that it woudl be. So yesterday Valeria tried it on. She fluctuates a lot in weight, so it is a little big, but I don't know if I am going to take it in and inch or so (in total). I won't do it until we have tried it on with a full linen shift instead of a slinky t-shirt in any case. I am also going to attach another lining on the inside so that the threads from sewing down the trim isn't visible, and that will also add some bulk. As you can see it it s little long at the sides, but that will be remedied when I attach the skirt, in the back it looks just perfect.